The filmmaker and actor tried something different for his third directorial outing: a genre film. It's paid off, and could carry him all the way to the Oscars. 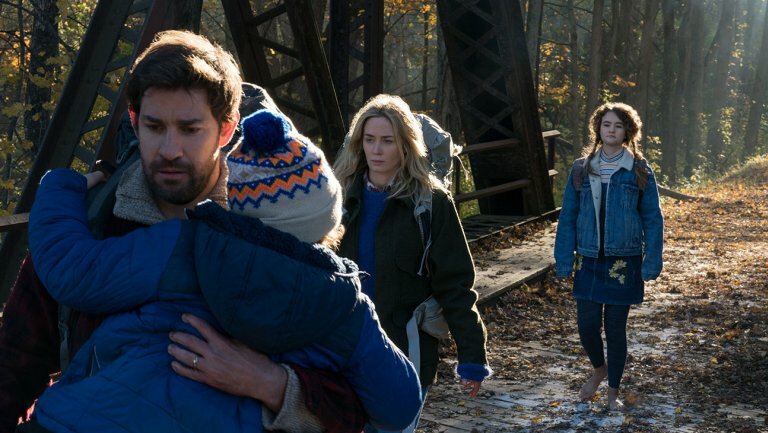 Nine months after John Krasinski debuted “A Quiet Place” at SXSW to the best reviews of his career, eight months after opening in the number-one slot at the box office, seven and a half months after crossing the $100M threshold, and six months after Paramount Pictures confirmed a sequel, he can’t believe he’s still talking about the thing. The reason, of course, is a good one: distributor Paramount Pictures is giving the film a full awards campaign, one that has recently been bolstered by top 10 designations from AFI and the National Board of Review. Still, this is not how the actor-filmmaker (who has also found the time to start filming his second season as the star of Amazon’s “Jack Ryan” series) expected to spend his December. That means more than just his audience. Fellow filmmaker Paul Thomas Anderson — whom Krasinski refers to as his “number one, a stratospheric director” — recently hosted an awards event for the film, which was enough to make Krasinski’s head spin. “When he was talking about our movie and raising a glass to our movie and [wife] Emily [Blunt]’s performance and my direction, I had a complete out-of-body experience,” Krasinski said. His hiring for the gig was unexpected. Krasinski’s first two films, “Brief Interviews With Hideous Men” (2009) and “The Hollars” (2016) each debuted at Sundance, and were acquired by IFC Films and Sony Pictures Classics, respectively. Neither made a dent at the box office. He wasn’t even looking for a directing gig. 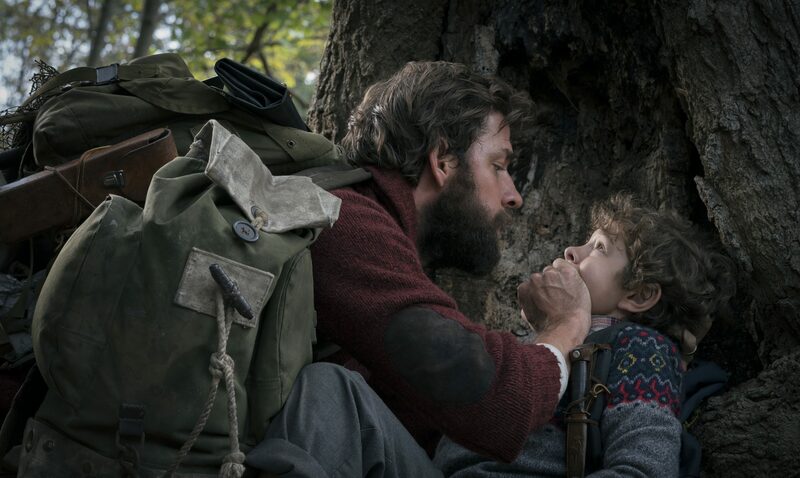 Initially, Michael Bay’s production company Platinum Dunes approached Krasinski only to star in “A Quiet Place.” When they tried to gauge his interest in making the jump to genre, he proved a tough sell. He’s been open about his initial lack of interest in the genre space, chalking it up to not growing up as a horror fan. Instead, he turned to the emotional center of the original script by Bryan Woods and Scott Beck, a family holding on to each other at the end of the world. Still, Krasinski didn’t resist the film’s unabashed genre elements. While horror films are often pushed aside during the awards conversation, with recent standouts like “Get Out” or “Hereditary” earning the hammy designation of being “elevated horror,” Krasinski isn’t bothered by such labels. Being a genre guy made him a better filmmaker. His resistance to labels also extends to the recently announced (and currently retracted) Academy Award for Best Popular Film. He’s not a fan of the idea, because he’s eager for films, no matter the genre or box office take or whatever other quantitative judgement can be slapped on them, to compete on an even playing field. While Krasinski is tight-lipped about his vision, he does offer that it will further expand the world seen in the first film. There are hints built into “A Quiet Place” about where its followup might go, including a scene that follows Krasinski’s character, Lee Abbott, as he dutifully lights a nightly signal fire and is greeted with more in the distance. More people, more stories. As daunting as the idea of a sequel may be for the filmmaker, Krasinski is turning to some old tricks to make it work, expanding out his influences and tapping back into what made this whole crazy idea work in the first place. He’s started working on a new list of films to help inspire the second film, just as he did with “A Quiet Place,” which he’s said was influenced by films like “Jaws,” “Alien,” and “Rosemary’s Baby.” Now he’s working on a new list. “It’s sort of an amalgamation of horror movies, but also filmically and cinematically, other movies that have nothing to do with horror,” he said. “It’s mixing all of the film experiences.” It worked the first time. “A Quiet Place” is currently available on DVD, Blu-ray, and streaming.